Hello! 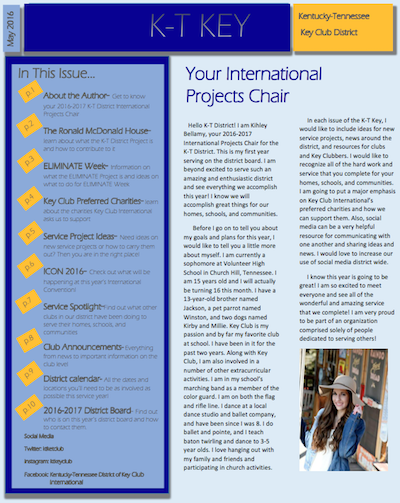 I am Kihley Bellamy, the 2016- 2017 International Projects Chair for the K-T District. I am so excited to get to work with everyone in our district and see all of the great things we accomplish! This is my May edition of the K-T Key. I look forward to posting plenty more this year.